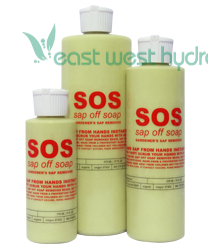 A unique and powerful hand and tool cleaning soap. 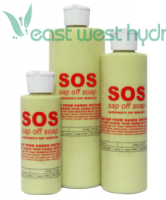 Made from all natural and yet gentle ingredients Sap Off Soap works quickly to cut resins, oils, sap and even inks or certain stains from many surfaces including skin, all tools, containers and countertops. The combination of citrus extracts and mineral oil easily help you clean up after time in the garden or processing and handling plant materials. Dimensions: 1.7in. × 1.8in. × 6.4in.